There’s been a lot of hype surrounding Rupert Murdoch’s latest news outlet, an iPad-only “newspaper” called The Daily, and now you can see for yourself what all the fuss is about without spending a cent. 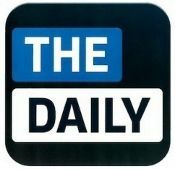 The Daily puts all content from the application on the web just in case someone spots something they want to share with their non-iPad mates. This then takes you to a page with the shared news items and a big advert for The Daily, instructing you to get an iPad and subscription for a full edition. The service has purposefully made it difficult to find these shared items, but Andy Balo of Waxy.org has intervened with The Daily: Indexed. The project provides a completely unofficial table of contents for each edition of The Daily by scouring the web and posting the findings, daily (of course). Check out The Daily: Indexed. Have you read The Daily yet? Will you? Is this the saving grace that journalism needs, or a fad that’s on the way out? Let us know in the comments. YouTube Music Is Now Free on Google Home SpeakersPassword Manager Battle Royale: Who Will End Up On Top?